Gorgeous photograph...Thanks for sharing it, & have a super WW! especially love the first one..the light, the blue.. 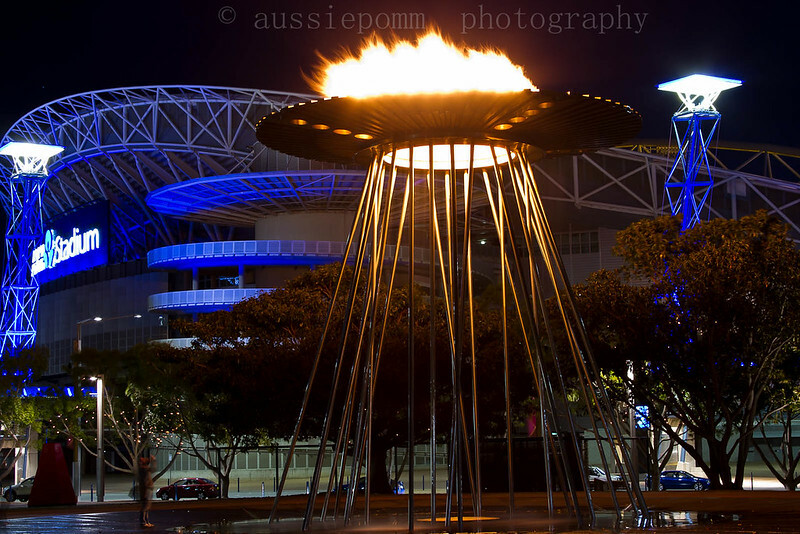 Here in Sydney, the flame is relight for every olympics, and this year, it was the first time for the Paralympics, al beit only for an hour 6-7pm! Wow! Oh so beautiful! Love them. Thanks for hosting and Happy WW! Gorgeous! In the second one, is there water coming down? Or is that all light? I love the combination of fire and water -- very dramatic. Holy cow..those pictures are amazing! Looks like it's about to take off! 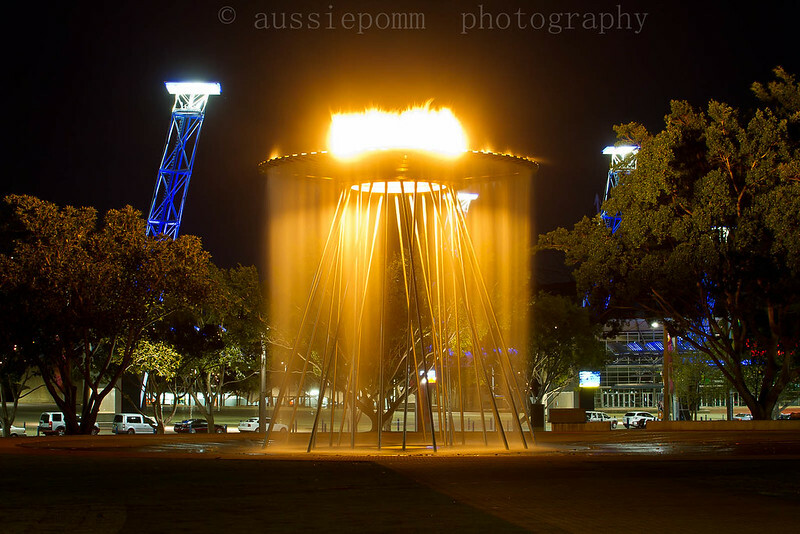 I hate to admit it, but I do not remember the Sydney Olympics, or cool space-ship looking cauldron. Love your photo! I posted a long reply on my blog to your question about the horsemint, but basically - it is a wildflower that grows in the USA and is a medicinal plant. Kind of alien looking, isn't it? Thanks for visiting! Very pretty, but it's a shame they couldn't hold with the London Olypmics. Amazing, I love how the fire was captured on the second photo. Amazing. Thanks for sharing these. Wow! I love the top photo. Beautiful. These are take your breath away stunning. Awesome capture! It looks like the stream of flames is going down all the way to the ground. Wow, that spectacular object looks like it landed from outer space! !